The Magnolia of Montgomery County offers you the opportunity to host a wide variety of events. The property can be used for meetings during the day, family gatherings lasting a few hours to a few days, weekend retreats for small groups, just to name a few. This venue is un-hosted, allowing you the flexibility of customized scheduling and dining options. This will allow you more control of your event and cost. Do you want to cook, dine out or order in? All these options are available. The house is set up to meet your needs as a guest. 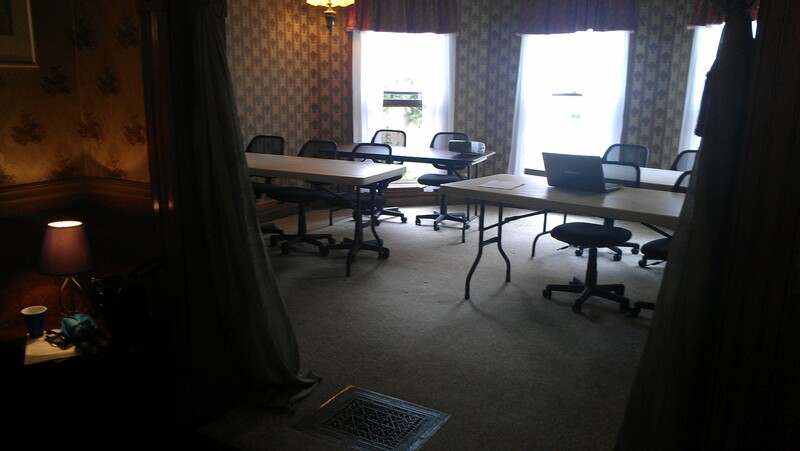 Do you need meeting rooms with tables and chairs? What about presentation equipment? Are you hosting a crafting retreat with some friends/clients? Family visiting from out of town and you don't have room to put them all up? 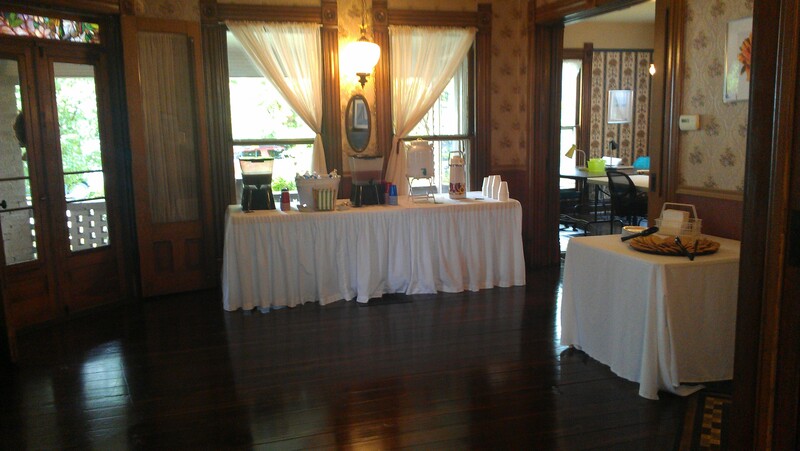 Looking for a venue to have a wedding/reception/party? We will gather information from the contact person for the group and help to get the house set up to meet your expectations and provide a wonderful experience, whether it be for work or play. 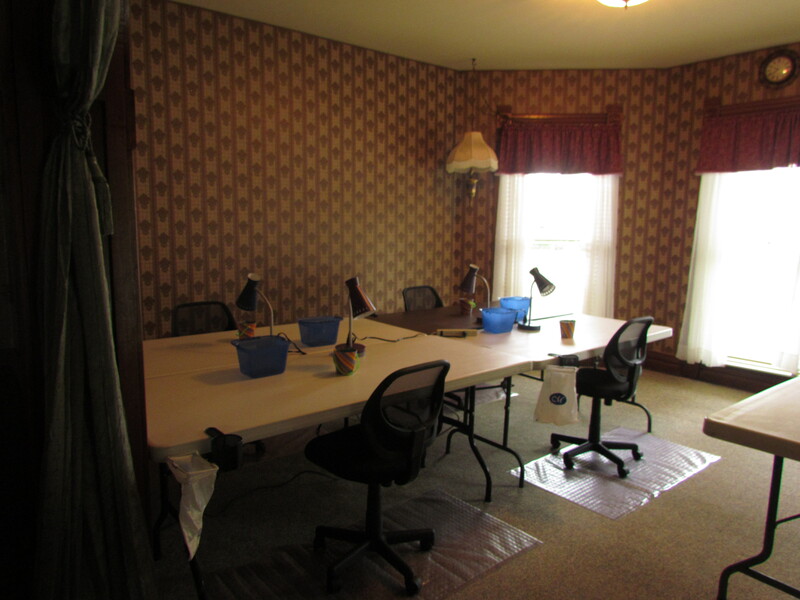 The main floor of the house has three rooms that can be set up for meetings or crafting. We can comfortably accommodate 13 crafting tables. There is also a room for relaxing away from the hustle of the weekend. 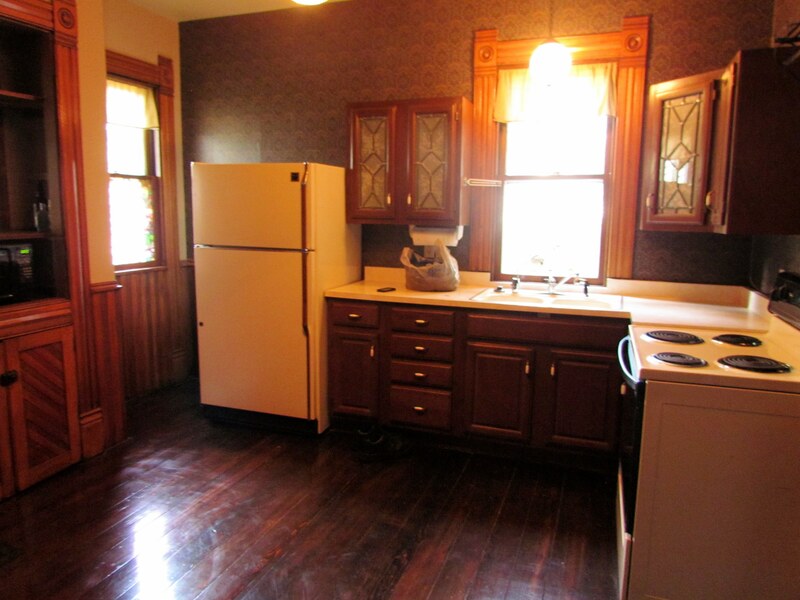 A fully equipped kitchen and summer kitchen are available for your use. Relax in the sunroom with a cup of coffee in the morning hours and watch the sun rise. 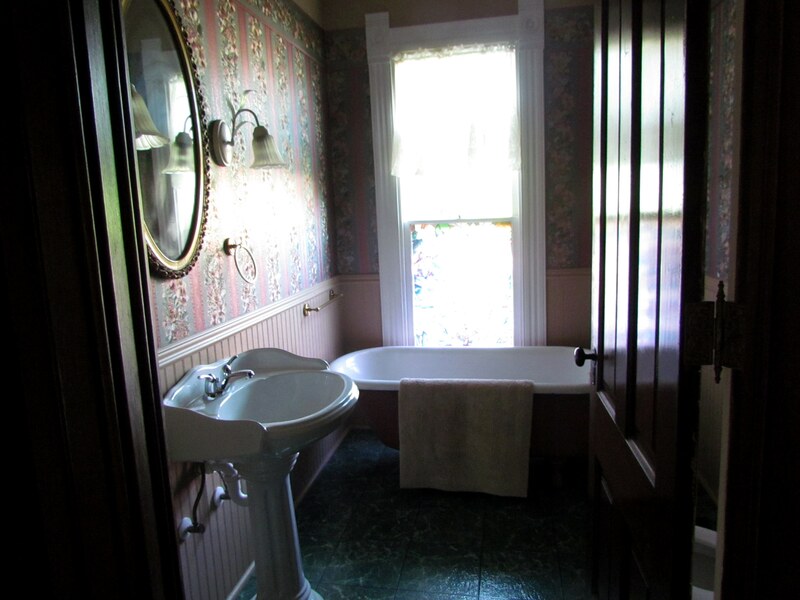 The main floor has a full bath and the upper level has a full bath as well. 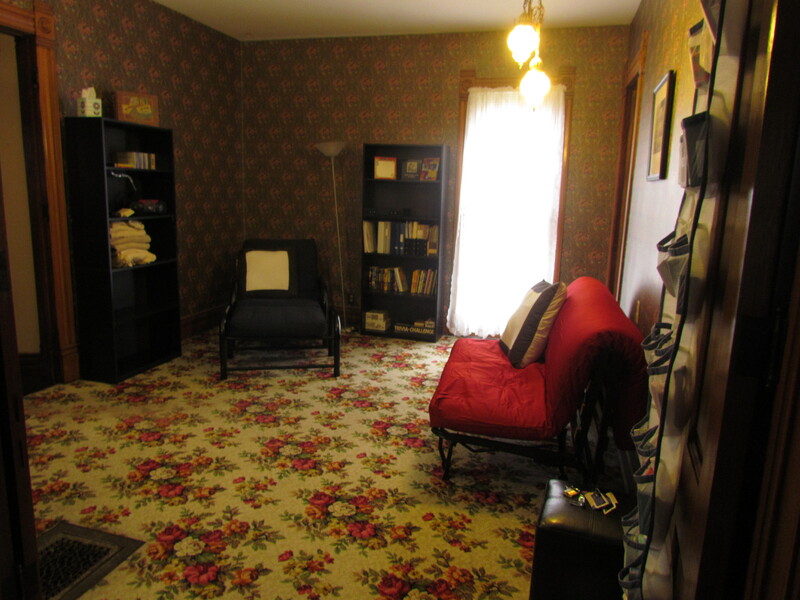 Also upstairs you will find three large bedrooms to sleep 13 guests. All of the rooms are set up with twin beds, but if there is a need, we can convert to a king bed. For your privacy and comfort, there are NO bunk beds. 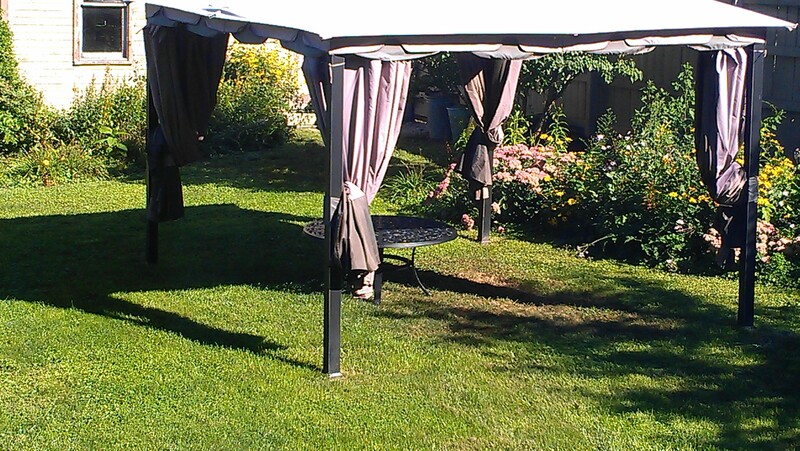 The backyard is fenced and offers a private oasis with perennial gardens and a gazebo to enjoy the fresh air. There are two outdoor porches on the house as well. Once the date of your event arrives, the owner will greet you to show you around and answer any questions you may have. We want to make sure you are comfortable and able to spend your time being productive, not figuring out what or where things are! The Magnolia of Montgomery County has been on the back burner for many years. Owner Jodi Bondy has been scoping out properties for several years, hoping to find the right place for the business vision she had. In 2003, Jodi became a Creative Memories Consultant and would host weekend retreats for her clients twice a year. These were done in conjunction with other consultants and at various locations within a couple hours of her home. The problem was each of these events required her to load up her car with inventory, supplies, food, and her own suitcase to arrive at the venue several hours before guests and set up tables, chairs, lights, drink holders, a store, tool stations, and all of the other areas needed to pamper her customers for a weekend away. And then it meant tearing it all down at the end. When it started to require two cars to haul everything, her husband even took the day off to help with the transport. It just got to be too much. The venues being used were also getting harder and harder to reserve for the weekends that worked for the group. So the idea of owning her own business came to light. We looked for old homes, new homes, homes in the woods, pole barns plans to build on her existing homestead; several prospects were found, but something always happened that became a major roadblock and stopped the purchase. Then one day this house came on the market. The town it was in was familiar - Jodi drove through it every day when she was teaching high school. Many of her students grew up in that town. It felt like the right place. After the house was purchased, some history has been gathered. 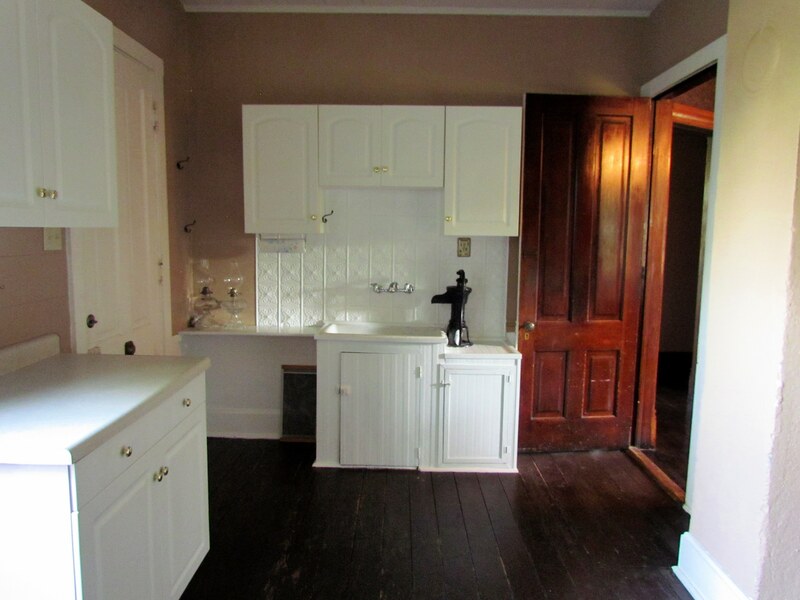 It was built in the early 1890's for a civil war veteran. There have been 6 owners of the house. Three generations of the same family owned the house until the 1980s. One of Jodi's students from Southmont actually grew up in the house. More stories will be revealed as people visit the house and share what they remember. When you walk into the house, you feel at home. We want to make your time away from home comfortable and memorable. We hope you enjoy your stay with us. We have tried to pay attention to detail, cleanliness and a comfortable work and sleep environment.